Assessing how the seemingly quiet behave the US and its Western allies in the Middle East, it can be concluded that Washington put up with what is happening in the region, giving him the opportunity to own forces to rake debris created by the Americans, the Saudis and the Qataris in the course of " color "revolutions and civil wars in the countries where they were unwanted modes. Moreover, Washington has spoiled relations with CSA and Israel that were in all the years after the Second World War, its main strategic ally, and went to the rapprochement with Iran, or even strongly protested against the actions of videoconferencing Russia for the destruction of the IG / Give in Syria . In fact, the United States, despite the start of the race for a place in the new president of America, under the guise of the Syrian conflict continues to intrigue in the Middle East, primarily to weaken the positions of Russia and Iran, and to restore the rule over the rich oil and gas resources of the region. Now the focus of the game turned out to be tricky turf Iraq. In early January of this year, informed sources in the capitals of neighboring countries of Iraq began to receive information that is given start implementing the plan for the dismemberment of Iraq into three parts: Shiitostana, Sunnitostana and Kurdistan, which will eventually become independent states. Kurdish autonomy already exist, Kurds and got it thanks to Saddam Hussein who has created the CAR (Kurdish Autonomous Area) with its regional government and fixed Kurdish representation in the central government - the executive and the legislature. But the idea Sunnitostana emerged after the American occupation, when it became clear that the Sunnis will never agree to accept the Shiite majority of the joint existence in a unitary state. 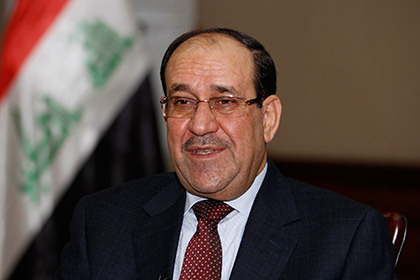 Former Prime Minister (2006 - 2014 years), and now Vice President and Deputy Prime Minister (curator of the power unit in the federal government), the secular Shiite Nouri al-Maliki for his cruelty in the crackdown of the Sunni minority, was "thanks" to the US conditions of discrimination, made "a major contribution" to the fact that in Iraq there was a final split between Sunnis and Shiites in the country de facto civil war began. For which he paid the price when Washington in August 2014 replaced it with a less charismatic and more docile Shiite Haidar al-Abadi. But things were so bad that part of the Sunni provinces of Iraq since December 2013 - January 2014 GG in the hands of rebels, mostly from the former military under Saddam Hussein, is completely expelled from anywhere else in the first American "ruler" of Iraq, Bremer field, as well as the leaders of the Sunni tribes who have been discriminated against. But the final collapse of a unified Iraq became real after the June-July 2014 just a few weeks the IG units / Give captured almost all Sunni provinces of the country, including the major cities of Mosul, Tikrit, Ramadi, Fallujah, Baiji, etc. and proclaimed the creation of "Islamic caliphate" in the area and much of Syria with all the attributes of state power and were ready to go to Baghdad. The new Iraqi army, which consisted mainly of Shiites (all the officers and NCOs of the Sunni "cleaned" Paul Bremer slogan debaasizatsii country), trained and armed by the Americans, just ran away for a few days, leaving all weapons, including heavy, and even aircraft. Only urgent delivery of Russian combat aircraft and helicopters, as well as military assistance to Iran, primarily parts and advisers IRGC headed by Commander of the brigade of special forces "Al-Quds" General Qasem Soleimani, helped al-Maliki discourage offensive IG and the return of the lost territories. And now, when it became clear that, despite all the successes of the January release of Ramadi and preparation for the return of the storming of Mosul and Shiite opposition Sunnis will not stop, especially because under the guise of fighting with the IG / give the Kurds of the Arab territories occupied Iraq, including Kirkuk, and the rich northern oil field near it, giving more than 30% of total oil production in Iraq, mostly for export, and now confidently move to the proclamation of an independent Kurdistan (Kurdish Peshmerga militias de facto already become a regular army with tanks, armored vehicles, artillery and aircraft) under some protectorate of Ankara, which has bet the head of CAR Massoud Barzani. Moreover, Ankara is now preparing an uprising in Mosul, to drive out the IG / Give us after the beginning of the offensive on the city part of the Iraqi army and try to pass it under Kurdish control. Why Tehran is doing nothing? In parallel, it prepared a plan for the establishment of autonomy and Sunni provinces. And the tacit consent of the Prime Minister Haidar al-Abadi obtained under US pressure. But Iran has not been able to prevent this, since all of its resources are left to help the government of Bashar al-Assad in Syria and prevent victory prosaudovskoy military coalition of Arab states in Yemen, where loyal to President Ali Hadi troops by relying on special forces KSA, Qatar, UAE and Egypt is trying to storm the master the capital Sanaa and the Saudi Air Force carpet bombing razed Shia neighborhoods and villages. Fighting also on three fronts Tehran can not: and so all its financial and military resources involved in Syria and Yemen, but also need to be ready in case of further provocations on the part of Saudi Arabia and Israel, who are looking for any pretext to disrupt the agreement on the Iranian nuclear program, thanks which removed the sanctions with Iran, and in order to disrupt Iran's ballistic missile development program. In general, neither the US nor Israel nor Saudi Arabia would not want to strengthen the regional role of Iran, especially by such oil-rich country with an overwhelming majority Shiite population, which is Iraq.And without it, without Tehran would not be able to create a Shia arc composed (in addition to the Islamic Republic of Iran), Iraq, Syria, the Lebanese Shiite Hezbollah, the Shia of Bahrain, populated Shiite Eastern Province of KSA, which produces almost all the oil in Saudi Arabia, and with Shia husistskim and Shiites -ismailistskim state in Yemen in the south of Arabia, allowing you to control 2/3 of the traffic from Europe to Asia through the Bab el-Mandeb. And that is very important and dangerous for Iran: united Iraq is not needed, and Turkey, which sees Iran's main competitor in the region, able to lower the Ankara to second place after Tehran's influence and power, both economic and military-political, in the Near and Middle East. Hence the unbridled desire of Turkey to participate in the Iraqi section of the pie. Plan for the creation of a Sunni autonomy is quite simple: to establish it on the basis of provinces with a Sunni population - Anbar with its administrative center in Ramadi, and Nineveh with its administrative center in Mosul, while the other Sunni province - Salah al-Din with the administrative center in Tikrit fully came under Sunni control . Otherwise Shiitostana, ie Shiite provinces of central and southern Iraq will be completely denied access to Kurdistan. That is why, in January this year prepared by the US National Guard stormed the Sunni Ramadi, almost knocking out igilovtsev, and in the north of the Iraqi army are preparing for the clean-up operation of the IG units / Give Mosul, the second largest city of the country. And to help them in this special forces from the US, UK, Canada and Saudi Arabia. Legal registration Sunni autonomy on paper is almost finished: you only do it in practice. With the support of Washington and Riyadh to Amman is scheduled to convene a conference of Sunni leaders (already has a list of nearly a thousand workers), which should create some "government in exile" and his then after the USA and KSA widely recognized EU and Sunni Muslim countries, also under the influence of and, if necessary, and direct pressure from Washington and Riyadh. It allocated considerable financial resources. And what is important - in a crash of the system of political control Iraq's federal prime minister Haidar al-Abadi tacitly accepted this plan. Although everyone understands: as soon as proclaimed Sunni autonomy, and then followed her confession West and Arab states, Kurds immediately declare independence CAR by relying on Ankara, and then power the Sunni autonomy also declare the release of a federal Iraq and declare an independent state codenamed Sunnitostan. And then will come the end of modern Iraq, formed after the collapse of the Ottoman Empire on the basis of its three vilayets - Mosul (Kurdish), Baghdad (Sunni Arabs) and Basrinskogo (Shia Arabs) - the direct involvement of the British Empire, which actually controls this new state on the Middle East, placing, as with the case of Transjordan (later it was called the Hashemite Kingdom of Jordan), on the throne of the Iraqi kingdom representative Hashemite dynasty sheriffs Hijaz, fully expelling Al Saud in 1926, and with the help of the same in London, which is not I was able to persuade the governor of Hijaz Hussein to agree to Jewish colonization of Palestine, driving under the mandate of England. In implementing this plan, the first to suffer Iran and Russia, which Baghdad is still an important partner. For IRI loss will be of strategic importance, because without it is impossible to create a unified Iraq Shiite axis in opposition Arabia monarchies, led by Saudi Arabia, as well as to confront Israel.Russia also lose economically ("Gazpromneft" and "Lukoil" have large contracts to develop Iraqi oil fields in all three enclaves still single country), and in terms of cooperation in the sphere of military-technical cooperation. For Moscow and Tehran could turn and another loss: the United States and KSA want to "pour" in Iraq "Sunnitostan" Sunni province of eastern and northeastern Syria, rich in oil. This will serve as compensation for the loss of Iraqi Sunnis and northern Kirkuk fields, as well as lead to the dismemberment of CAP, which is already held only by military aid to Russia and Iran.And Syria is strategically important for both Moscow and Tehran. And such Syria, which can feed themselves at the expense of its oil, rather than living by means of the Russian Federation and Iran. Going to a tacit acceptance of the plan Sunni autonomy, Haidar al-Abadi endangers the very existence of Iraqi territory conditional Shiite enclave Shiitostana hypothetically consists of 12 provinces in the southern and central Iraq and the capital Baghdad. Already, in the south of the outbreak of armed clashes between the Shiite tribes in the fight for water and oil, and local leaders of the Shiites is not too want to be ruled by the not entirely clear federal government in Baghdad, which skeleton make polusvetskie Shiites without clan and tribal support for the Iraqi South. Already there was talk that will be declared in Basra Shiite autonomy, which will include the oil-rich province of southern Iraq, and the "feds" in the capital will only himself to Baghdad, and a couple of the provinces around it. It is clear that this government will not last long and fall, and the metropolitan "districts" will be shared between Sunnis and Shiites. Especially that Baghdad has historically always been a Sunni city, even from the early days of the Arab Caliphate, and the conditional border area densely populated by Shiite Arabs began to the south - around Babylon and Hilla, ie 80 km south of the capital. And all this is not fantasy, how can assume some analysts, and the real balance of power today. Change it may be only the intervention of Iran and Russia. But both countries it can not go too many resources spent to rescue Syria from terrorist insurgency. And opposed to Moscow and Tehran powerful alliance in the face of the CSA, the US and Turkey, which borders Israel also interested in the creation of a Kurdish state in opposition to the Shia Arabs and weakening, followed by Tel Aviv always dreaming of Iran. Iraq, Iran and Russia, they will not give up. Iraq - too fat oil geostrategic piece of cake on the map of the Middle East. A funding to help the federal Iraqi government at Moscow and Tehran do not have as Saudi Arabia, their pricing on the world oil market has depleted finances of both countries, and Western sanctions more hit both the Russian Federation and Iran. So we can safely conclude that the Iraqi round of fighting for spheres of influence in the region, Russia and Iran have lost. And only the collapse of the Saudi kingdom, which is now going through a period of acute social and economic, political and sectarian crisis could stop the disintegration of Iraq, which is not far off.